Key fact: This is a multi-generational organic 12-hectare farm practicing polyculture on slopes wedged between the Apenines and the Adriatic Sea. 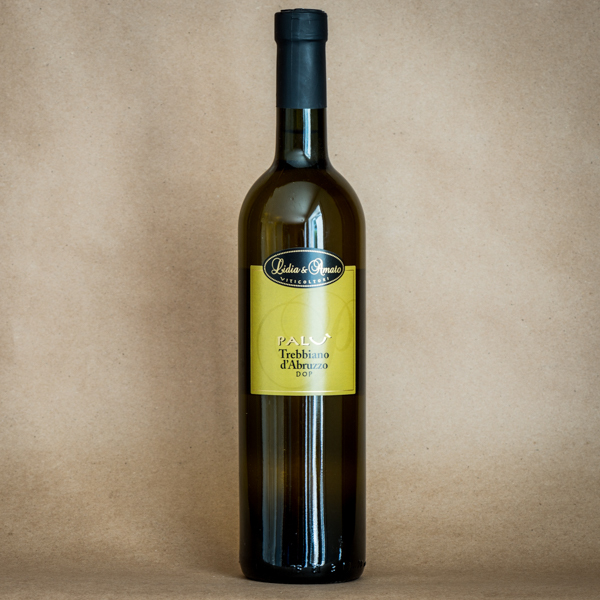 Palu Trebbiano is very aromatic, fresh, clean and light. The wine is made by temperature-controlled fermentation in stainless steel. A pneumatic press is used for gentle extraction of the juice, giving Palu a very mellow, uncomplicated and pleasantly refreshing character. Enjoyable, few rough edges. 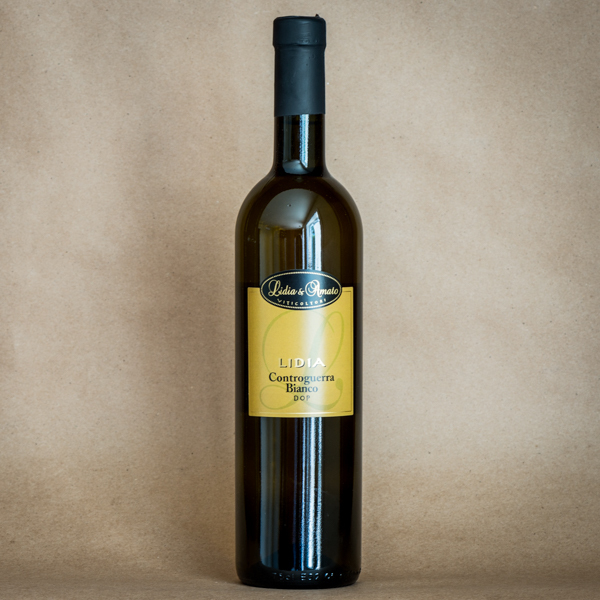 Lidia and Amato have a large family, and some wines are named after their relatives. Others, like Palu, are smashed-together abbreviations of two names. Confusing maybe, but it’s best to be inclusive! I prefer it to the alternative of developing luxury cuvees just to placate an aunt or cousin. Method of fermentation: hand-harvesteded. Gentle pneumatic pressing. Temperature-controlled stainless steel. Method of fermentation: hand-harvested. Gentle pneumatic pressing. Temperature-controlled stainless steel. The name refers to the vine age, a minimum of 40 years, and also to “forte”, strength. It is pleasantly aromatic, not a bruiser. Forty definitely has a good weight to it, an ideal amount of ripeness. Some modern estates strive to smooth out Montepulciano’s at-times rough around the edges demeanor. Lidia e Amato make theirs clean, juicy and aromatic. It isn’t rustic, but it also does not taste foreign; they haven’t wallpapered over the grape’s essential characteristics. The road to Lidia e Amato winds slowly up from the town of Nereto, province of Teramo, finally turning to follow the ridge of a relatively steep, vine-covered hillside. In clear air on a cold winter morning the view both west and east is impressive. I visited for the first time in the painful cold of January, blue hands, thin wool coat, searching for visual cues of how lovely the estate must be from April to October. It is clear the winery was built for sunshine and long seasons of heat: outdoor living. The cellar has a very open floor plan (air-conditioned in summer of course) with a large stone and brick patio built in close proximity to the farm’s orchards and vines. Controguerra has real mountains, imposing and rocky reminders that my home state of North Carolina tops out with high hills. There’s a glacier close to here! Pressed up against the border with Le Marche and between mountains and sea, Controguerra and Ascoli Piceno on the Marche side of the regional divide share a pretty compelling terroir. Valleys cut from the Apennines almost to the white sand of the Adriatic’s “seven sister” beaches. The charm of the latter natural marvel seemed eradicated by overzealous construction. I might feel differently on a summer visit. The vineyards of Lidia e Amato are steep. We toured in a Land Rover, grinding it out slowly in low gears, riding at all sorts of odd angles, bouncing around the cabin. An appealing diversity of produce surrounded the non-path as we wove our way through the farm. At first apricots, peaches, plums, kiwis, eventually groves of Leccino and Frantoio olive trees. Returning to the cellar we pass (fallow) cucumbers and melons, then cherries, apples, nectarines. The fertile ribbons of uneven land in this northern corner of Abruzzo are certainly optimally utilized! Lidia and Amato have been at this for a while, and much of the day-to-day operation is handled by children, and soon grandchildren. They were the first people to commercially grow Pecorino in Teramo, beginning in 1983. Indigenous vines of Abruzzo are central to the farm, and the family practice organic viticulture. “We prefer to make fewer grapes, and higher quality.” Amato said. In the vineyards, all the fruit is picked by hand into small baskets. From afar, hand-picking may seem obvious, a necessary step to increase quality. But few estates work this way in Abruzzo. The estate can’t be certified organic because of its proximity to non-organic neighbors and because some treatments are occasionally used on some of the fruit trees. Visiting Lidia e Amato got me thinking about the value of generalization versus specialization. The location has little in common with other estates growing Montepulciano, Trebbiano, and other indigenous grapes farther south in Abruzzo. The farm is 2.6km from the sea, 13km from the mountains, only 40km from Gran Sasso, central Italy’s most impressive, snow-capped peak. Most of the property is 260-280 meters above sea level. The stage is set to create great wine from local grapes here. Simply calling it Trebbiano d’Abruzzo or Montepulciano d’Abruzzo is accurate and does give non-local drinkers a vague sense of what to expect. Those large DOCs function effectively as brand names, like Cotes du Rhone or Bordeaux or Chianti. But they lump together all sorts of wines. To thrive in future generations, the more specific DOCs like Controguerra Rosso or Colline Teremane may need to achieve meaning to non-locals. The wines are individual and can be very good. I fear the low-ish price associated with larger regional DOCs could hinder realization of this interesting area’s full potential. Harvest is the time to visit Lidia e Amato, not winter. The family seemed genuinely concerned that I return at that time, to see the beauty of their region during busy autumn weeks. It feels like a mix of pride in their awesome place and real generosity. As I left they loaded my arms with cans of olive oil and bags stuffed full of kiwi. I’ll be back for peach harvest!